N-VPN is the official VPN cheat app of Nairabit website which offers Airtel, MTN, 9mobile (etisalat), glo latest free browsing. The new cheat app is design for both 3g and 4g SIMs, though it is pre-installed with glo cheat configuration it can also be used with other networks provided you input the right settings. • Glo Network - Very strong glo network, this is very important. • Android device - 3G or 4G android phone. • Open N-VPN Prime and click on the settings icon at the top left corner. •Tap on save again, then touch the RED or Ash colour connect button. 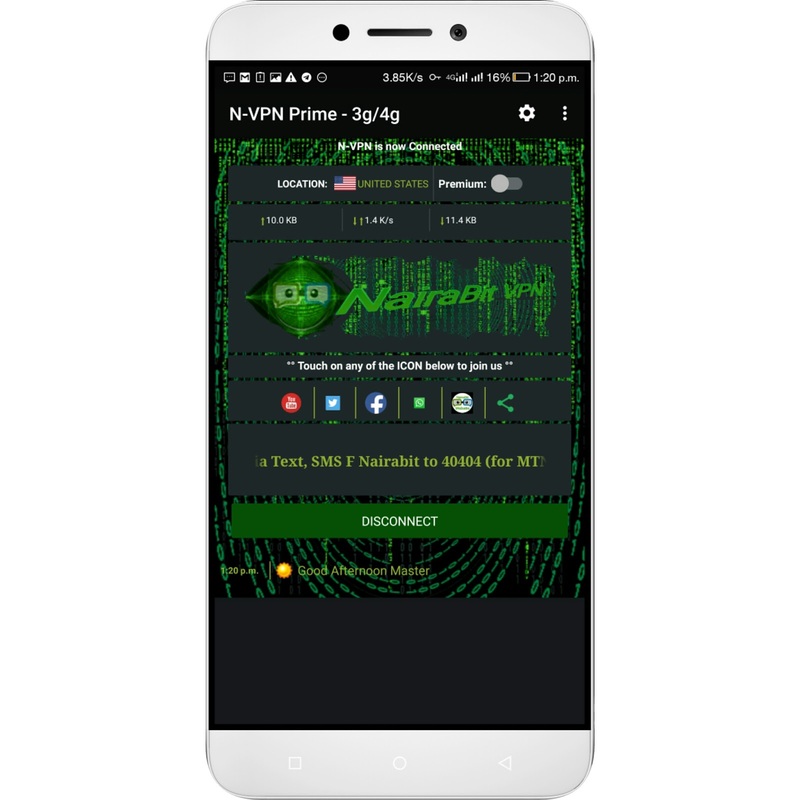 Thats all for Glo latest free browsing cheat 2018 on nvpn, wait for a few seconds, the app will connect showing a green button. Just minimize and start browsing and downloading unlimited. If you have a 4g SIM, use a 4g phone for optimum performance on N-VPN Prime.